One of the most original writers of her generation. All her work is full of brilliant observations, humorous and sometimes astounding conclusions, and amazing juxtapositions inspired by linguistic associations, patterns of movement, chance, mathematics, whim, and imagination. 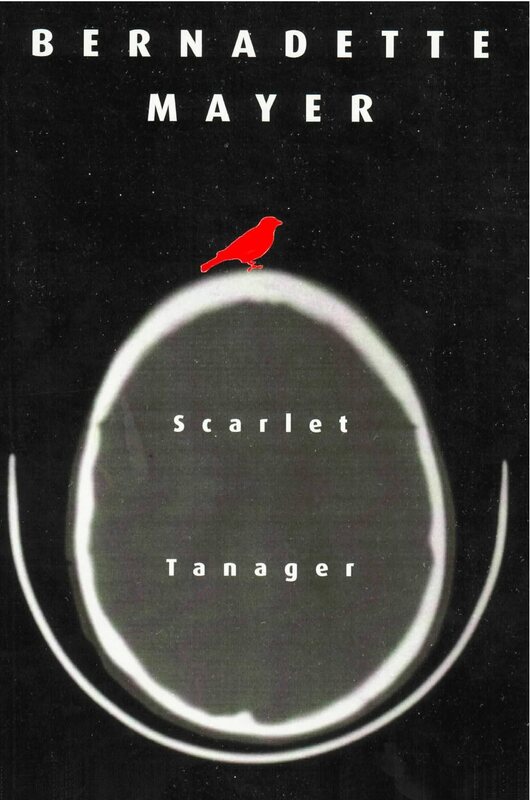 Comprised almost entirely of never-before-collected poems, Scarlet Tanager is Bernadette Mayer’s first collection of new work in nearly a decade. Called “magnificent” by John Ashbery and “consummate” by Robert Creeley. Mayer mixes together delightful epigrams (“What it means to be a mammal / sexually /it’s cute”), long-line free verse, and her astonishing sonnets. There are also curious, extremely witty translations of Mayer poems into joking, free-style French, which are then re-translated back into English, landing quite some ways from the original. There is no one writing today who can touch Bernadette Mayer for sheer pleasure and indelible brilliance.